Tinnitus Retraining Therapy - A Breakthrough or Eyewash? Tinnitus retraining therapy or TRT as it is called in short was developed as a breakthrough neurophysiologic model of treating tinnitus. Treatment through this method was widely practiced and was found successful in treating many cases of tinnitus and other conditions of sound intolerance. Tinnitus retraining therapy however aims to only ‘deal’ with the problem of tinnitus rather than resolving the problem itself. The therapy was developed after close examination of how tinnitus creates the debilitating sounds in the ear of a person, when there are no perceivable external sounds or noise. The treatment is a result of exhaustive studies and analysis and the end result is that this therapy can offer a way out for people suffering from tinnitus , to lead a normal life. Tinnitus retraining therapy works on the principal that the human ear has a unique ability to learn new reflexes as well as to relearn the previously acquired reflexes. The therapy also works on the principal that the human ear has the capability to eliminate its reactions to stimuli that it considers irrelevant. Based on the above principals TRT seeks to artificially train the ear to gradually disassociate itself from the negative tinnitus signals. 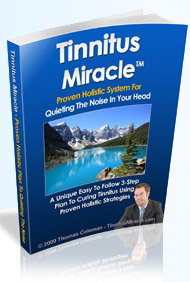 This method makes it applicable and usable in all cases of tinnitus irrespective of where the real problem lies. (b) sound therapy which involves avoidance of silence and use of enriched background sound environment. Are Effects of Tinnitus Retraining Therapy Mainained Over Time? Tinnitus retraining therapy by its nature of gradually conditioning the ear to a new way of hearing involves long duration and has to be maintained over time– sometimes one and a half year to two year’s time. Successful treatment of TRT involves dedicated efforts on part of the patient to conform to the guidelines alongside the physician’s treatment. Maintaining TRT over long durations makes it tedious and difficult to keep up. Many times visible results seem too slow and some give up half way. TRT overlooks root causes of the problem of tinnitus and focuses only on modifying neuronal connections. Causes of tinnitus are irrelevant to this therapy. Therefore, although TRT offers great relief to people suffering from tinnitus, it is not the solution, especially when compared to the fact that a holistic method of treatment can offer more in terms of a permanent solution to tinnitus.